Greg says: One of my favorite TV shows from decades ago was "To Tell the Truth." The famous line was, “Will the real ____, please stand up.” So on Monday's webinar, we will be asking, "Will the real Gold please stand up!" Aptly titled Gold vs Gold, we will be discussing the most profitable Gold opportunities vs the mediocre ones. The great opportunities are hard to find, but this challenge is what makes the Golden Art mission so exciting! Question- Are you able to discuss politics and religion amongst those you love? How do those discussions go with those you love that are not in agreement with you? How do the discussions go when dealing with those you may not “love” but are not in agreement with you? My name is Mark Petzold and I am an active Tea Party leader. My history in the Tea Party movement dates back to the summer of 2008 when I called the Glenn Beck program and asked if it’s time for a modern Tea Party due to taxation without representation, driven by President Bush and Treasury Secretary Paulson. Perhaps this call to Beck created the identity for the movement that was already stirring in our land, however the call was out in front of our nation’s culture. I believe you will find the message I give to be out front of the culture yet again. During my time as a Tea Party leader we had weekly meetings and also weekly prayer Saturday morning at a former abortion clinic where we sought God for restoration in our city, state, and nation. Needless to say there was a great deal of time spent through the years, learning, seeking, and developing as individuals. During the years there were attempts to affect change in the Republican party and also through individual elections. Our lessons learned are unique because our effort were driven by God, Country, and Family and not driven by a profit motive as is the case with most political organizations and parties. It is worthy to note that our political efforts were largely ineffective when considering the goal for restoration of our country, but why? “Restoring Our Identity, Walking in Faith and Authority”, is a lesson I have shared across the state of Michigan. It is my experience that those in attendance enjoy a compelling case that our culture, government, and application of our faith may be different than originally thought. I will make a case for our current condition as a nation, explain why our condition exists, then provide a vision for the future. Come prepared to hear an unusual perspective that you will not hear from a political party or most churches. The Bible teaches us to avoid debt - with good reason. Debt has interest! And interest drains your finances. Most people think of interest being like death and taxes - something you can't avoid. But that's not the case. It takes some work, but debt can become a memory. If you're not in debt, attend this Webinar anyway. The secrets that work for getting people out of debt work just as well to keep people from getting into debt. Don't miss this Webinar! Inflation has been a way of life for modern man. However it wasn’t always a problem. In part 2, we will be looking at how world finances are being managed. Major financial decisions are being made that will likely have a huge impact on your own finances. What can you do? Learn and prepare! Many say today the world is in chaos. To escape the chaos one needs to create their own future. The key to creating your future is doing what has never been done before, but in a proven way. It is my experience we each can create our own future. In our time together I will primarily deal with the proven way part of the formula for creating your future. One of the biggest surprises I’ve witnessed in partnering with businesses is the positive affect cash flow awareness, knowledge, understanding and interpretation will have on a business as well as one’s personal finances. I know for many the term cash flow is possibly a turn off. What images come to mind when you hear or read the term cash flow? If you are like most business owners and professionals it is not a positive, friendly image. You want to take your dream and help change the world. In my experience the ability to understand and interpret cash flow can enable you to Create Your Future and it is the “proven way” part of the formula. Through a project in elementary school, I discovered I had financial leadership abilities leading to a calling for a life-long career partnering with business owners and being a business advocate to help wear the “financial hat” in their businesses. An “aha” moment in my career occurred at the age of 22, as a first-year business loan officer. I assisted a well-established business owner and customer solving his problem by really digging into his business to learn and understand him and his business. Comments by the business owner helped me realize that this method of operating was the real way to connect with and serve business owners in my field. Everyone saw the painful 4,000 point drop in the Dow Jones Industrial Average last year. It was the worst December in decades. Many had been expecting it, since the market had reached previously unknown highs, and was overextended. All in all, 2018 was a terrible year for stock speculators and investors. Then, against all odds, stocks had a great January. Many breathed a sigh of relief, and thought the uncertainty was in our rearview mirror. They forgot that every time the market has reached new highs there has been erratic action like this. Many times the markets have dropped dramatically (there were three 1,000 point one-day drops, two of them in December alone), only to rebound. People who have their life savings invested in stocks don't give up easily. But inevitable, after several of these scary drops and rebounds, the markets give up and either correct or crash. Those are the only two options. Hopefully for the people that have all their IRA or 401k money in stocks, it will only be a correction (a typically 10 to 20% drop). But we could see a genuine crash of 30 to 50%. Some analysts are even predicting a 70% crash. The stock market has always been a roller coaster. Have you ever seen a roller coaster that just keeps going up and up? No, you haven't, and you never will. The problem is that with stocks - as with roller coasters - the higher you go, the greater the fall. It would have been much better for stocks if the market had had a small correction several thousands points ago. The higher it goes, the greater the likelihood of a serious crash. And here we are, at all-time highs. Look out below. On March 29 the citizens of Great Britain will finalize their divorce from the 28 nation European Union. When they approved the "Brexit" (British Exit) vote two years ago, the US stock markets plunged 4% and Gold skyrocketed 5%. The British knew what they wanted to gain from the divorce: Becoming a sovereign nation again; ending burdensome EU regulations that were crippling British businesses; and stopping their payments of Billions of Pounds to support poorer nations in the EU's Socialist system. But it is doubtful that many British citizens fully understood the financial ramifications of their decision. In addition, there is a strong likelihood that Brexit could be the beginning of a breakup of the European Union. If that does not transpire, it is very likely that at least some of the remaining 27 nations will leave. Leaders in several nations started calling for "Exit" referendums the day that the result of the British referendum was announced. Either of these scenarios will cause even more economic turmoil. But US citizens are not terribly concerned about Europe's financial future. The questions we have heard repeated over and over are: "How will this impact the US economy?" and "How will this impact MY personal finances?" The fact is that the economic woes of Europe WILL impact our nation. How much they will impact YOUR finances will depend on whether you are prepared. On Monday we will show you how to get ready and how to protect your family. On a recent (5 January) MSNBC Town Hall,noted Constitutional Scholar and current Speaker of the House of Representatives, Nancy Pelosi, stated: “Our Founders envisioned three co-equal branches of government. There’s little excuse for one chamber of Congress refusing to do its job and simply giving power over to the President.” She later tweeted this statement out to her 2.12 Million devoted followers and included a video recording of the MSNBC interview, presumably in case anyone doubted her constitutional acumen. Speaker Pelosi is not alone in her confusion as to our government’s design, the “Three Co-Equal Branches” myth has been drummed into millions upon millions of public school children’s heads for probably the last one hundred years. A simple Google search finds people ranging from reporters,to sitting Congressmen, to lawyers groups and, of course, educational websites repeating this patent untruth. Ironically, this is perhaps one of the easiest myths to debunk these days, but there is more to the story and great cause for concern; not just over the persistence of the myth and our nation's constitution ignorance which perpetuates it, but more so over the current state of affairs in the federal government today. How closely are we conforming to the Framers design? Inflation is coming! Inflation has been a way of life for modern man. However it wasn’t always a problem. In this new series we will study the history of inflation, the parts of the world that are most affected by it, and where we stand presently. Most important, you will learn how and when inflation will come, how it will impact your family's finances, and how you can protect yourself from it. and buy as many of the really great ones for our clients. In this week's webinar Greg will take you on a tour of photos of a number of pattern treasures, some of which are very inexpensive. It’s not too late to make some moves that will save you money on your 2018 taxes. When I was a stockbroker/financial planner, the last two weeks of December were very busy with clients making changes that would allow them to reduce their tax burden. Some of these startegies have to do with stocks, and I know many of you have already exited the stock market for safer pastures. If that is your situation, you should attend this important Webinar anyway. There are many other ideas that can help everyone. The money we use today is just a substitute for the real money this country was originally established on. In part one of this series we will take a look at what money actually is and why today's currency is not money. We think you'll find the facts presented very interesting. Invite a friend to join you! Patterns are greatly prized treasures for their artistic beauty and rich history. Some of the world’s greatest patterns were commissioned by famous leaders who personally oversaw their creation and handled the coins. Now you can take a walk through history and relive these grand creations. Frank Caprio is the Chairman of the Constitution Party of Orange County. Ron Valdivia is the State Chairman of the Constitution Party of Florida. Together they will present the largest political party after the Republicans and the Democrats. The Constitution Party is the only U.S. political Party that lives up to its name. Frank says, "I am an avid supporter and educator of our founding principles. I understand the meaning of the Declaration of Independence and why it is important. I understand the purpose of the Constitution and what it says. Ron and I will be talking about a political party that embraces these documents and the ideals they espouse." Dr. Tom says, "If you are a Republican or a Democrat you might not like everything you hear. But you will definitely learn a lot about the Constitution. And you will see that the monopoly of the two big parties is not as complete as you might have thought. There IS a viable third party that could challenge the current monopoly - and save the nation in the process. Don't miss this one." Stock Indexes, ETF's, Stocks and Commodities have unique indicators that most traders don't use. Advance Decline or breadth indicators, Consensus Reports like the CFTC COT data and Relative Strength are just some of the examples that we will discuss how to you can learn to use immediately in order to gain an edge in your trading. Join us for this unique webinar as John Person shares how to organize the tools to help you better organize your thought process in selecting better trading. When an individual gets in trouble with too much debt, they can just declare bankruptcy and start fresh again. Governments cannot take this path. So what is going to happen with our rapidly escalating debt? This will be an opportunity to interact and discuss the most critical financial issue of our age. Question: How prepared is your family if for some reason you didn’t make it home today? · All your important financial and legal documents? · Could they locate and access all your online accounts? · Have you made provision for your pets? · Who has the contact details for all the professional advisors such as attorneys, accountants and financial planners you work with? · How about important documents for your property, vehicles, boats, firearms, collectibles and other valuables? Additionally how securely are your documents and information stored and who has access to them? In this webinar, you will learn how to plan ahead so you and your loved ones never have to worry about where all your most important documents and information are stored, and who has access to it. Every year Billions are lost to families due to missing documents and accounts when the account owner passes or is incapacitated. In this Webinar we will show you how to prevent this. CNN commentator Chris Cuomo recently told Judge Roy Moore “Our rights do not come from God, your honor, and you know that. They come from man..." This declaration would have come as a great surprise to Thomas Jefferson, James Madison, Alexander Hamilton or other any of America's Founding Fathers. To a man they believed in fundamental, unalienable rights and were not reticent to say so. Apparently, in Cuomo's telling, these natural, inherent, eternal rights somehow dried up over the last 200 years or so and were replaced by civil rights provided by man through civil government. We'll take a brief look at how this change in our thinking occurred and what will be the consequences if a majority of Americans come to join Cuomo in his view. We have been taught all our lives that banks are safe places. We hear phrases like, "As safe as the money in your bank." But is our money really safe? Can government insurance really protect you from losses? In this Webinar we will discuss the many ways the funds in your bank accounts are at risk. Some are direct risks, and some are indirect. But all of them are very real. Is gold money or just a pretty material to make art with? In part 2 of our exciting series of thought provoking questions, you will get the chance to interact and be a part of the webinar! The History of Money Part 2: What is Fiat Currency? In this webinar Dr. Kendall will be sharing how you can take your vision and step by step manifest it into your calling, whatever it may be. The History of Money, Part 1: What is Money? What's the Difference Between England, Great Britain, the British Empire, and the United Kingdom? Are you confused with all of these different names? Even most English people could not explain the difference. In this new webinar series, we will explain the difference and the significance with coins. Walt will present "The Four Pillars of Indestructible Success" that are necessary to develop an Entrepreneurial Mindset. Biblical Entrepreneurship teaches how to use that Power! The Solution? Develop a Home-Based Business that gives us Personal Freedom and Control of Our Lives! Two of the world’s most fascinating Royals are Queen Victoria and Queen Elizabeth II. Interestingly, Elizabeth was Victoria's granddaughter. In this unique webinar, we will be show how many similarities there are between them and how greatly their reigns have affected Gold Both Queens created some of the world’s greatest treasures, with one coin in particular considered the most magnificent piece of Golden Art ever made in England. Best of all, some incredibly rare and very under valued opportunities exist, especially with the limited edition coins of Elizabeth II. The earliest of these are worth over $1 Million, but some of the recent rarities can be bought for a little over $2,000. The Sovereign is the only coin in the world to be named after the King. Since about the year 1250, the title of Sovereign has been used to define the King of England. Therefore when King Henry VII in 1489 decided that a new regal coinage be created for England, he decreed that it be named the Sovereign, in his honor. The Sovereign coin has now gone on to take its own place of prestige in the world of numismatics. It is indeed a leader of all rare coins due to its prestige and longevity. Climb Your Mountain…Engage Your Mountain…Transfigure Your Mountain! You have been assigned your mountain to show others it can be moved. It's one thing to climb your mountain -it's another thing to have something to say when you get there. This empowering series is about getting a Rhema on the value of Rhema in the Marketplace. Introducing a way to plan for the future that takes advantage of all that the digital age offers. Forget file folders, papers, and stacks of unorganized documents. Introducing a way to plan, organize and preserve all the things your heirs will someday need. OneSecurePlan is a secure online document management platform and digital vault optimized to ensure your most important documents are safe, organized and accessible to your executor and heirs in the event of an emergency or your passing. OneSecurePlan will make you a hero to your heirs and your executor. After this Webinar you will definitely want your own Plan. The Sovereign is the only coin in the world to be named after the King. Since about the year 1250, the title of Sovereign has been used to define the King of England. Therefore when King Henry VII in 1489 decided that a new regal coinage be created for England, he decreed that it be named the Sovereign, in his honor. The Sovereign coin has now gone on to take its own place of prestige in the world of numismatics. It is indeed a leader of all rare coins due to its prestige and longevity. This new series of Golden Art will take you through the history, significance, and extraordinary value opportunity of the Sovereign coin. It is perhaps the greatest rare coin in the world for the money. It is incredibly undervalued and it is Golden Art’s strong belief that it has no where to go but up. One of the premier principles of investing is that you should always have an exit strategy for every investment. In other words, don't buy something unless you know how and to whom you will sell it. With the downgrade of US bonds and the bankruptcies of many US cities that issue bonds, there are fresh questions about the safety and soundness of bonds in general. Who Will Buy the Bonds? The Sovereign is the only coin in the world to be named after the King. Since about the year 1250, the title of Sovereign has been used to define the King of England. Therefore when King Henry VII in 1489 decided that a new regal coinage be created for England, he decreed that it be named the Sovereign, in his honor. The Sovereign coin has now gone on to take its own place of prestige in the world of numismatics. It is indeed a leader of all rare coins due to its prestige and longevity. This new series of Golden Art will take you through the history, significance, and extraordinary value opportunity of the Sovereign coin. It is perhaps the greatest rare coin in the world for the money. It is incredibly undervalued and it is Golden Art’s strong belief that it has nowhere to go but up. In Part 3, we will be explaining what makes Sovereigns valuable. The Culture War is a war of words. It is really a conflict of worldviews. There is an awakening sweeping across the United States and the world. The politically-correct police have been exposed for thinking they control what people believe and have the right to force their worldview on everyone else. The time has come to reverse Political Correctness. PC is used by social engineers to control the speech, and thus, the thinking of the masses. When you recognize PC for what it is, understand the steps of the Dialectic Process, and stop using doublespeak yourself, you have done more to support the Constitution and Liberty than you can imagine. The Founders believed a well-educated people were a key component in the preservation of free government, yet they gave no power over education to the federal government in the Constitution. Why? Today, the federal government is quite involved in the operation of state-run public education; how did that happen? Finally, for those concerned about the effect of progressive education on American society, there is much to be concerned about. What can be done? Come prepared to learn and discuss. that it be named the Sovereign, in his honor. WARNING: This Webinar is not for everyone. If you are not in debt, but want to help others who are, take notes. If you are in debt, and are willing to be tough on yourself, make tough decisions, and do whatever is necessary to get out of debt, take notes. Lance Wallnau says, "Everyone has a book inside them." It might be the story of someone you know well, a passion you want to share, or special knowledgeyou possess (like that series of sermons the Lord inspired you to write). Do you have a book in you, but don't have the time to write? Speak It To Book takes the messages and stories living in you, and turns them into professionally published dynamic books. By bringing a professional publishing team around you, Speak It To Book makes it possible for you to publish a book with your content, and in your voice, in less than 24 hours of your time. The moment the GA faithful have been waiting for is nearly upon us. It is the last, and most important part, of the modernization of the world coin market. This webinar should be mandatory for everyone to listen to. Don’t miss this important announcement. When most of us see a serious wound, our first reaction is to dial 911. And it should be. But what if 911 doesn't answer? What if telecommunications are down? What if a blizzard or flood keeps paramedics from responding? What if it's up to YOU to save someone's life? This will be the final Webinar in this series. One of the most frequently asked questions is, “What is the past performance of rare coins?” Due to the very modernized market for US rare coins there are abundant resources available to study past performance. In this new series, we will be examining the most useful US indices and then delving into specialized research that Golden Art is now creating for European rare coins. For those who desire to research information, this will be the one webinar series that you won’t want to miss! research information, this will be the one webinar series that you won’t want to miss! Golden Art’s new index for English rare coins: The King of Coins Index. The hottest coin in the world is the Bitcoin. It is headline news every day - and it's not even a coin! Golden Art has its own kind of Bitcoin strategy. For your year end planning, you MUST listen to this critical webinar. The Statue of Liberty has an amazing history. The idea for such a monument was first conceived in 1865 at a dinner party in France just after the end of the US Civil War. It would be the biggest man made monument in the world at that time and it would be a monument to an ideal, not to a famous person. A core group of key leaders persevered and after 20 years of effort, the Statue was dedicated on October 26, 1886. This was a remarkable feat. But what is lost on most Americans and Foreign friends alike is the deep symbolism and meaning of the Statue. An understanding of these truths will revolutionize the way you look at Lady Liberty and lookat your role in being a student of liberty and spreading the ideas of liberty to all who might listen. Craig Seibert is a web seminar trainer and has been a student of history and founding documents for the last 20 years and has taught these principles to tens of thousands in person and over the Internet. Napoleon still rules Europe, but not politically. If Napoleon was still alive, he would be pleased to know that he is the ruler of a large section of the antiquities market. From art, sculptures, books, even hats, napoleon rules. But more than any other collectible, Napoleon rules the coin world. This new series is both historically enriching and potentially profitable for those who embrace the Golden Art strategy. In part 2, we will be looking at the Napoleon legacy that lives on thru Napoleon III. The greatest treasures of Europe were created under his rule. Napoleon still rules Europe, but not politically. If Napoleon was still alive, he would be pleased to know that he is the ruler of a large section of the antiquities market. From art, sculptures, books, even hats, napoleon rules. But more than any other collectible, Napoleon rules the coin world. This new series is both historically enriching and potentially profitable for those who embrace the Golden Art strategy. printed so many tens of Trillions of dollars that there wouldn't be enough Gold to cover it. President Trump is the first president in over a century to seriously entertain the idea of a return to the Standard which made our nation prosperous. Since I saw an article in Forbes on this subject, my mind has been spinning with the possibilities. The thing is, Trump likes Gold. That just makes sense. He likes things that are real and truthful. And Gold is the only real, true money the U.S. has ever had. Don't get me wrong. He hasn't announced a return to real, Constitutional money yet. But if you listen, you can see the direction his thinking is going. There would be many hurdles to overcome, and many Socialists, Democrats and Communists to vanquish on the road to sound money. But can you think of any other man who would have the vision, the boldness, and plain old guts to make such a patriotic move? Certainly none of our recent presidents had such courage. If anyone can stop our nation's slide toward financial ruin caused by our massive debt, it will be Donald J. Trump. We will discuss whether a return to the Gold Standard would be the best way to do that - or whether it is even possible. In this second part of the series, Greg will give you several specific strategies for profiting from Gold bullion. This knowledge can make the difference in whether your bullion purchases are risky or safe. With the coming correction (or crash) in the stock market everyone wants Gold. They just need to know how to buy it. This Webinar will give you that information. Invite a friend! Buying bullion can be very risky or very profitable. Recent events have now made it essential that everyone knows the best way to buy bullion. In this 2 part series, Greg Halloway will explain every possible option and then zero in one the best options for you. Is the Bull about to explode? That's the question I hear everywhere when I talk to stock market experts. The general consensus is that it's not a matter of "if" but "when"? There are always warnings before a crash. In my four decades in investments I have been through a number of minor corrections and major crashes. Not surprisingly, all the big ones have exhibited the same warning signals - sometimes far in advance. These signals have been accumulating for the last year. It's like snow load on a roof. The more snow (or signals) that pile up, the closer we are to the roof caving in. We'll examine the most important of these signals, and how you can tell when it's time to run for the exits. Here's a tip: The worst crashes and panics have always happened after the markets reached more and more new highs - and the non-professionals started to believe it could go up forever. The market ALWAYS comes down. The Calm Before the Storm. While we created this webinar a few weeks ago, President Trump has now made this famous expression current events with his threat earlier this week to North Korea. Monday’s webinar will take on even more urgency and timeliness now. It is imperative that every investor listen to this and prepare. What is the “silver bullet” – The One Thing that will guarantee either that you win or, by its absence, that you lose in the end when it really counts? It is Jurisdiction. Whether we're dealing with government & law, money & banking, family education, health, media or the arts, we have a choice of jurisdictions. Knowing that, and then knowing where to look and how to choose is worth...well, it's worth everything. Ben Graydon is a believer in Jesus Christ as Savior, an ambassador for God, and in pursuit of God's Kingdom here on earth. A full-time husband and father, Ben has served as a school teacher and principal, a law enforcement officer, a newspaper writer, business owner and public speaker. He has a bachelor's degree in history and a master of public administration degree, and he has spoken from many stages internationally on a variety of "freedom" topics, most often in encouraging parents to take on personally their most awesome responsibility: that of educating their own children. Robert will be joining Greg's series going in depth on the art behind gold coins. Shields, crosses, and crowns have been symbols of protection, royalty, and faith for centuries. Robert will be breaking down the meanings and importance of symbols found in coins of Great Britain. Rare Gold coins are one of the world's best investments. We have developed a comprehensive strategy to build a collection that could collectively be worth a Billion dollars. In this plan each individual owns and holds their own coins, which make up part of the overall collection. We invite you to join the unique VIP group that is building this collection. Every week we offer a different webinar to help explain the Blueprint for a Billion Dollar Gain. James Madison is often called the "Father of the Constitution," a label he argued was not rightfully his. He stated that the document being the work of "many heads and many hands." He is also widely referred to as the, "Father of the Bill of Rights." This is different. Without Madison's election to the First Congress in 1789, it is unlikely we would have ever seen a Bill of Rights added to the Constitution. Yet Madison himself was not initially a proponent of a statement of rights. American. Richard Labunski's 'James Madison and the Struggle for the Bill of Rights' would be helpful preparation for this webinar. Gary Porter is the Executive Director of the Constitutional Leadership Initiative , a project to inform Americans about the Founder’s view of their Constitution. In addition to writing "The Constitution's Week in Review" at www.ConservativeTruth.org, he writes regularly for the Fairfax Free Citizen of Fairfax Virginia. Mr. Porter also teaches at various locations, as well as hosting a weekly radio broadcast ("The Constitution Matters"). The program can also be heard live on the Internet every Friday morning at www.1180WFYL.com. In previous webinars, we have discussed how important the image of the ruler was portrayed on coinage. In this webinar, we will be highlighting some of the great coins that were not made for commerce, but instead created specifically to honor the ruler. These are called Presentation Pieces. As you might imagine, these treasures are great works of Golden Art, hence the reason for inclusion in this series. They are also fantastically rare. Since they were not made for commerce, there was no reason to make them in quantity, hence the reason for their rarity. One can only imagine the provenance of these masterpieces that have undoubtably been handled by royalty and dignitaries ever since their creation. The Power of Predictive Technology - What Would You do if You Knew the Future? Coins have been made for many purposes throughout history. One of the most important reasons is for political purposes. That may seem strange to us today as most people don’t even look at coins. However in classic times, the messages contained on coins were carefully thought thru as they were the primary means of communication. It is our goal to build a collection of the world’s best rarities from this important classic era. In this webinar, we will be showcasing some of these great treasures. What do you think of when you hear or read the word legacy? Are you reminded of the legacy you are leaving behind? Have you given much thought to the legacy you will leave behind? I don't mean only financial legacy or other gifts that may be passed on after you leave this earth. There is much more to the subject of legacy that I would like to talk about when we meet. Join us for an informative conversation - one that I hope will help you pose questions to yourself even as you begin to search for answers. Civil War! No, this is not about the North vs the South. This civil war happened much earlier, in the mid 1600's, and it pitted the Monarchy vs the people of England. Some of the world's biggest coins were made during this time. This would seem odd. Why, when resources were strained in a time of war, would giant coins be made? I find this one of the most fascinating times in history, and you will as well. The beautiful coins we will show and describe tell the story of this momentous time. This is the THIRD Webinar in our series on the Bible verses and references that are found on hundreds of rare European coins. Coins have been minted on English soil since before the time of Christ - for 2,150 years! And they made more coins with Bible references messages than any other nation. Last week our focus was on the great early hammered coins of Great Britain that have Bible verses displayed on them. This week we will focus the hammered coins we could not cover, as well as the early milled coins of England. In this fascinating study Greg will show us which coins were theological in nature, how the coins were used to "spread the Word," and what this means to collectors and coin investors. During the time most of these coins were minted they didn't have TV, radio, or even newspapers. So important ideas and sentiments were expressed on coins. You might even say that these coins were often mini "position papers" that articulated the monarch's thoughts or prayers. For instance, many coins bore this beautiful verse from Psalms 119:105 - "Thy Word is a lamp unto my feet." Here is a brief description of what I will be teaching: World Markets can't be sure of anything, but still they are rising. This presentation will discuss all these factors, as well as the potential cause and effect depending on the outcome. This is the second in our series on the Bible verses and references that are found on hundreds of rare European coins. Great Britain minted more coins with Bible messages than any country on earth. This week we will focus on the great early Hammered (handmade) Coins of Great Britain that have Bible verses displayed on them. Most of us have old IRA's, 401K's, 403B's and other types of tax-deferred accounts that just aren't working. You worked hard for your money, and it should be working hard for you. But we constantly hear about retirement accounts funds that are making such small returns that they don't even cover the cost of inflation. Worse, many are actually losing money. (We just spoke to a gentleman today whose IRA has gone from $50,000 to $19,000 in just 5 years!) Some people are so discouraged that they tell me they don't even open up their statements anymore. What if you could use that money that is being eroded by inflation to do what the law allows, but most IRA custodians won't let you do - buy land in areas that are next in line to be developed. Did you know that that is how Donald Trump (and thousands of other people) have made fortunes? It's called Land Banking, and our speaker will help you discover just how powerful it is. You can use cash or retirement funds. But where would you rather have those funds - in a bank or IRA where it is being eroded by inflation? Or would you rather "bank" it in land that can help you maximize your retirement funds, secure your children's education, and build a personal legacy. Remember Proverbs 13:22 - "A good man leaves an inheritance to his children's children." Don't miss this important class. There are numerous books, seminars, and programs selling their "secrets to success." However, they all fall short in their standards and idea of success. We will take a closer look at what God considers success and the guaranteed best way to achieving it. God built success into the natural and spiritual laws of life. Thus, your priority is to understand the secret keys that God built into life, which also eliminates constant toiling. Once you have the knowledge and understanding of His divine principles, your responsibility is to simply activate them in your everyday life. Join us on June 26th as Trista Sue shares practical principles that have been proven to work in her own life, and will eliminate the guesswork from achieving success in every area of your life. Most people consider England (and most of Europe) as unchurched. And in comparison to America, this is true - one tenth as many Europeans attend church or claim any religious affiliation as do Americans. But - unless they study history - few people realize that England was once a very religious nation. In fact, at one time England sent more missionaries to most of the world than all other nations combined. This is reflected in their coinage. Understanding the threats posed by other nations to the US is critical to understanding the modern world. These threats shed light on the actions of ISIS today. They give context to the communist People’s Republic of China’s Unrestricted Warfare strategy and the cyber war activities alluded to in today’s news. These events explain why Iran continues to be recognized as the largest state sponsor of terrorism in the world. Anyone who does not understand these events cannot understand the pressures currently applied to the US economy. This presentation will be an exploration of the real events that served to inspire the novel: Election: Unrestricted Warfare. The legacy of the greatest rulers in history is chronicled through coins. In part 3, we will learn about the great coins of the period just after England’s civil war. While war is always tragic and peace is cherished, this period of history is like a Golden Age of artistic expression for coins. Some of the greatest coins in world history hail from this era. Image is everything to a ruler. In part 2, we will learn about the age of great trophy coins that took place in the 1500’s and 1600’s. An amazing time of history, it showcases the vast importance of coins to the image of the ruler. - Obey God in spite of the consequences. - Trust God in spite of appearances. - Praise God in spite of circumstances. - Build a business by applying and living in accordance with biblical principles. Jeffrey Pelletier, MA, is the President of The Foundation for Excellence in Faith and Work (501c3). Jeff has been in marketplace ministry since he gave himself to Christ in 1987. The purpose of Jeff's ministry is to help Christian professionals to do "great work with great faith". Jeff graduated from Bethel University and Seminary, in St Paul, MN, in June 2000 with a Masters in Theological Studies. He was licensed through Discipleship Training Ministries in St Paul, MN in 1998 and ordained in 2004. Gold as Art: The Ultimate Art Works. In this new series we are discussing the artistic and historic significance of the great coins of the Golden Art collection. In part 1, we will be providing a very important overview to the series. Knowledge is power. The relatively little known history of these great treasures world to our present advantage. While these treasures can be bought at bargain prices, we need to act now! This information could save you tens of thousands of dollars. Make sure you tune in - and have your pen and paper handy for note taking. Dr. Barrett is called to be a "Watchman on the Wall," warning Kingdom citizens of the coming dangers and sharing how to prepare. He is passionate about helping families protect their God-given assets. As a wrap up to our marketing series, we are now looking at what has been happening with the market rising on specific coins in the Golden Art collection. Some may be your coins! There is still plenty of opportunity left, so don’t miss this important market update. Founding Fathers of America desired that we have freedom to "do what is right". Freedom was never intended to do whatever you want. Mark hopes to inspire you to act, show 'fear' the door, and to walk in faith and freedom. Marketing is the key to big profits. In part 7 we will be learning about the ultimate marketing strategy: Set Building. You may not realize it, but your coin is already part of the great Golden Art Set. In this webinar, AJ Monte will teach us The Market Guys 5-Points for Trading Success. AJ has over 35 years of trading experience and these time tested strategies have resulted in an 88.63% accuracy rating for 2016, and a career accuracy percentage of 84.42%, making him the most accurate stock forecaster in the world. We are certain that you will walk away from this session with valuable lessons that will help you maximize your profits while minimizing your losses. Marketing is the key to big profits. In part 6 we will be continuing to learn about successful marketing strategies that were created in the US. This section of the series is so packed with information that we had to split it into several parts. These strategies have been successful beyond anyone’s wildest dreams. Part 6 will be focusing on specific coin examples that have been impacted. They are a role model for the Golden Art strategy. In this webinar Tim will cover the mindset that every salesperson or business owner needs for success. You will learn strategies that allow you to separate yourself in order to stand out from your competition. You will also learn how to grow, cultivate, and maintain relationships within the sales environment ("The Arena"). And you will learn why it's important to duplicate and diversify in order to build lasting success. There are many events that are creating a lot of uncertainty and volatility in both the political landscape and global market place. Any one of these events would be sufficient to create reverberations, but put together they are sure to create a roller coaster ride in 2017. This presentation will give you a snap shot of where everything is at and discuss what's next. Fulton is our "go-to-guy" when it comes to teaching about what's happening in the world financially. He updates us quarterly on the latest financial news that impacts our lives, and helps us understand how we can protect ourselves from what the governments of the world are doing to our families and to our economies. Marketing is the key to big profits. In part 5 we will be continuing to learn about successful marketing strategies that were created in the US. This section of the series is so packed with information that we had to split it into 2 parts. These strategies have been successful beyond anyone’s wildest dreams. They are a role model for the Golden Art strategy. Healthcare has been at the center of the national debate for most of the past eight years. And it looks as if everything is about to change all over again. In this webinar we will examine how we got to where we are; what some of the likely changes to come may be; and what could it look like for a Biblically faithful model of health care economics to emerge to lead our country into a caring, compassionate and Christ-centered healthcare model. Marketing is the key to big profits. In part 2 we will learn about the supply and demand factors that affect rare coins. Supply and demand affect the value of all assets, but rare coins have a truly unique advantage. Dave will focus on providing the attendees a factual definition of Islam, Islamic terrorist groups operating inside America, and how Islamic terrorists are targeting our children in all levels of our school system. Dave served over 20 years in the USAF and held the highest top secret clearances. After retiring from the USAF Dave was a u.s. Federal agent for several years. He has conducted firsthand research in over 280 mosques in America. He has three best selling books. Muslim Mafia is still selling after ten years. Dave was the first u.s. Federal agent to be deployed to Iraq (2003). Marketing is the key to big profits. In part 1 we will begin with the basics to understand the Golden Art Strategy of marketing. Invite your friends to listen. The more people we have involved, the greater benefit to all. We will be explaining how this works to produce profits for everyone involved. This should be one of the best webinar seminars Golden Art has ever presented. Joe Alton, MD and Amy Alton, ARNP are medical preparedness experts and the authors of the #1 Amazon bestseller in 3 categories "The Survival Medicine Handbook: The Essential Guide for when Medical Help is NOT on the Way". They are nationally-known speakers and NY Times bestselling authors on disaster and epidemic preparedness. In Part 4, we continue to showcase the great coins that make up the "St. George Slaying the Dragon" design Golden Art Elizabeth II 5 Pounds series. St. George is venerated as a Saint all over the world and the legend has grown to mythic proportions. This beautiful work of Golden Art is now celebrating its 200th anniversary of continuity of coinage. The St. George design is now the world’s longest running coinage design. Coupled with the fact that the 5 Pounds is the world’s longest running Flagship coin series, it makes perfect sense why demand is likely to skyrocket for these treasures. Everyone in the Golden Art family of friends should own at least one of these great treasures because they are very affordable. This webinar offers an alternative view to our culture's definition of success for the “retirement years”. Instead, it offers a Kingdom Opportunity for redefining success in the THIRD ACT of our lives. Dr. Joseph Umidi and his organization are calling Senior Statesman to step up to their opportunity to experience the most productive years of their lives. It also calls churches to restructure the way they approach their ministry to these "Baby Boomers" and beyond to create a “Caleb Culture” in our communities. Dr. Joseph Umidi serves as Interim Dean and has been a Professor of Ministry at Regent University for the past 28 years. 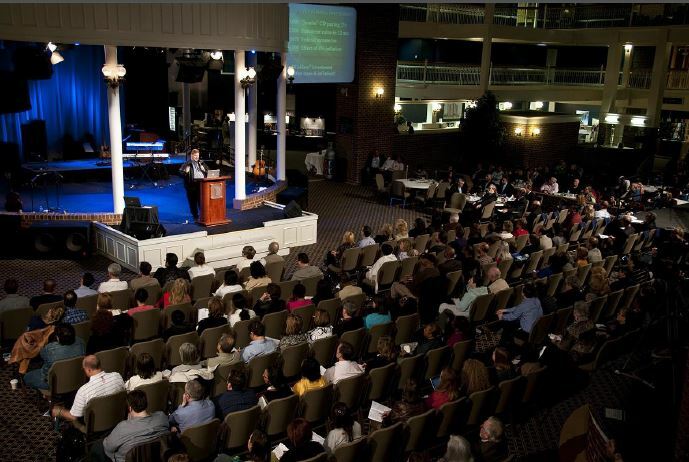 At the same time he has served in senior leadership roles of several churches in Virginia, and was in Pastoral leadership in Canada for thirteen years prior. 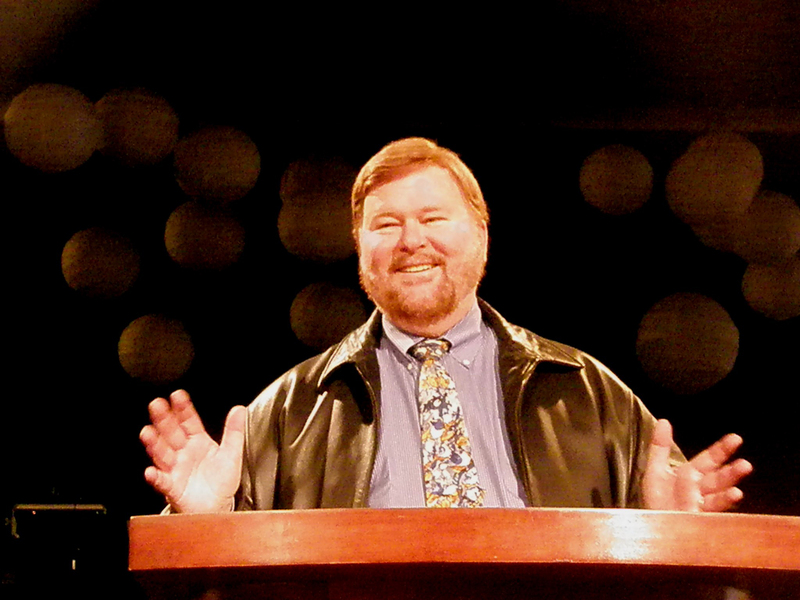 For the last twelve years he has served as the Senior Director of New Life Ministries International, a church network, church planting, and missions organization based in Virginia Beach, and as Founder and President of Lifeforming Leadership Coaching, Inc., the largest Christian Coach Training ministry world-wide, which ministers in 22 countries and 14 languages. He has authored numerous articles and books dealing with Church, Organizational, and Personal Transformation and is working in community and international transformation strategies with several ministry organizations in the developing nations. He is married to Marie, Founder & President of TMCJ, Inc. an international Gospel Arts ministry, and the delighted grandparents of three grandchildren. In Part 3, we will be showcasing the great coins that make up the St George slaying the dragon design Golden Art Elizabeth II 5 Pounds series. St George is venerated as a Saint all over the world and the legend has grown to mythic proportions. This beautiful work of Golden Art is now celebrating its 200th anniversary of continuity of coinage. The St George design is now the world’s longest running coinage design. Coupled with the fact that the 5 Pounds is the world’s longest running Flagship coin series, it makes perfect sense why demand is likely to skyrocket for these treasures. Everyone in the Golden Art family of friends should own at least one of these great treasures because they are very affordable. The book of Nehemiah is awesome. It details the spiritual life and civic leadership of one of histories great Cultural Reformers. It is often taught from the vantage point of “leadership principles” or “the importance of prayer” in a leaders life. There is much to be learned from this. However, the book is not often viewed through the vantage point of the “Stages of Cultural Restoration” and most importantly the different types of resistance that the leader and believers will face when they are following God and trying to reform society. Please join us in for an eye opening look at 2,500 year old truths that are every bit as relevant and true for today as they were then. If you want to know what is going on the realm of cultural restoration in 2017, you have got to see it through the lens of Nehemiah. Interestingly, the book of Nehemiah was the text from which President Elect Trump, Vice President Elect Pence, and 300 guests heard a message at 8:30 in the morning on Inauguration Day. In Part 2, we will be showcasing the great coins that make up the Golden Art Elizabeth II 5 Pounds series, which are very affordable. In school, we were always taught that A was the highest grade. However with coins the best grade is B! Greg is enthusiastic about the Golden Art's mission to get the Best, and you should be too. This webinar will take a look at our very first Inauguration Day in 1789 and our most recent Inauguration Day in 2017. We will take a look at all the elements of the Christian faith and dependence on God that were expressed at the first Inauguration Day in the United States , when George Washington was sworn in as our first President. From prayer meetings to the swearing in ceremony to the events that followed- to know and remember these important foundations of American History is to know the faith of our forefathers and how our country was designed to work. In school, we were always taught that A was the highest grade. However with coins the best grade is B! Greg is enthusiastic about the Golden Art's mission to get the Best, and you should be too. The coins Greg will be teaching about are Big, Beautiful and the Best. Everyone in the Golden Art family of friends should own at least one of these great treasures because they are very affordable. The presentation will focus on what happened in 2016 and what’s going to happen in 2017. Who will be the new political leaders, how many more nations will exit the EU, how will negative interest rates and negative government debt affect world markets, how much money can a nation print, and how many bonds can they buy. Finally, how much can the nations of the world bear before the weight of their debt causes the nations to default? We may very well find out the answers to these questions inn 2017. Does the size of a coin have a bearing on its value? Some clients who are new to owning coins are focused on the size of a coin as being of the greatest importance. In this new series, we will be looking at the factors that impact the value and desirability of rare coins. Our title comes from John Steinbeck's novel. "Of Mice and Men." He, in turn, took his title from a line in Robert Burns; poem: " The best laid schemes of mice and men / Often go awry." Ironically, Steinbeck's book describes two ranch hands traveling in California trying to find wok during the Great Depression. Of course, the Depression was directly caused my the government's mishandling of the economy and the stock market, and by the unintended consequences of its meddling in the marketplace. Proof-70: The Ultimate Grade. In part 5, Greg will be teaching about the great Proof coins that have been acquired for the Golden Art collection and why they were purchased. Some have reached the pinnacle of perfection of 70. For those fortunate few that can own one, we have good news. We have some very rare Proof-70 large Flagship gold coins available. Rare Gold coins are one of the world's safest investments. We have developed a comprehensive strategy to build a collection that could collectively be worth a Billion dollars. In this plan each individual owns and holds their own coins, which make up part of the overall collection. We invite you to join the unique VIP group that is building this collection. Every week we offer a different webinar to help explain the Blueprint for a Billion Dollar Gain. In this second part of the series, we cover will cover The Future of Money and Banking, with an emphasis on digital currencies such as Bitcoin. You may think you know about the history of money, but Brandon Vanderford will offer insights that you might not have considered before. This information is essential to understanding the future of money, which he will cover in Part 2. This will focus on Crypto (digital) Currencies, which are destined to revolutionize the way we bank and spend. In the first part of this class we will discuss the likelihood of Gold going to $5,000 per ounce - or higher. Is this crazy talk? Some of the top Gold experts in the world believe it is not only likely, but inevitable. We will talk about their predictions, the rationale behind them, and - most important - how often they have been right in the past. After all, a prophet is only as good as his prophecies. We will hear from some of the people who have been consistently correct in the past. Then we will talk about what to do about it - and the time frame. There is a large body of thought which holds that Gold will make a big move in the New Year - very possibly at the beginning of January. We will discuss the reasons for those beliefs. And then we will talk about how you can personally benefit from a big move in Gold - even if it is initially only to $2,000. As with any great financial movement, there are always winners and losers. Make sure you are one of the winners! In Part 2 of this important series, we will examine how President-Elect Trump and his team plan to combat the financial decline our nation has experienced in the last eight years. We will also look at what actions he can take to reduce the Deficit and lower the National Debt. Finally, we will discuss how YOU can protect your family, regardless of what the government does or does not do. 70: The Ultimate Grade. In part 4, Greg will be teaching about the great coins that have been acquired for the Golden Art collection and why they were purchased. Some have reached the pinnacle of perfection of 70. For those fortunate few that can own one, we have good news. Make sure to join us as we share our vision and success. In this very important 2-part series, we will examine the specifics of government plans and how they will impact your finances. While some believe that a Trump administration will tame the deficit, actually that is not part of his governmental mandate. No one seems to care about whether we reduce the National Debt, either Republican or Democrat. The problem is simply bigger than anyone can solve. For instance, in 2016, the US government will spend 77% of total income just on mandatory expenses such as social security and defense. The government estimates that within 10 years that mandatory expenses will consume 100% of all income. That means NOTHING left to run the government. If you believe the government can operate on zero income indefinitely, then you have more faith in the dollar than we do! Most people don't understand what money is. If you would like to be one of the few who truly understand this powerful force in our lives, you need to attend this two-part Webinar series. And if you want to understand why everyone is so excited about Bitcoin and other Crypto (digital) Currencies, Professor Brandon Vanderford is the expert who will help you understand them. In this first part of the series, we cover will cover The History of Money and Banking. On January 9, the subject will be The Future of Money and Banking. You may think you know about the history of money, but Brandon Vanderford will offer insights that you might not have considered before. This information is essential to understanding the future of money, which he will cover in Part 2. This will focus on Crypto (digital) Currencies, which are destined to revolutionize the way we bank and spend. 1) The real definition of money. 3) How our relationship with money has changed drastically over the last 100 years. Money has gone from being a representation of wealth (deflationary in nature), to being a representation of debt (inflationary in nature) in just a few generations. This will be a foundation for the second part of this discussion, which is the future of money & banking; how bitcoin / cryptography / blockchain technologies tie into that future; and how it will be drastically different from what we have now. You do not want to miss this important series! Mr. Vanderford is a Professor of Economics at the University of Texas. He describes himself as a "Crypto-Economist." He is and antreprepeneru business owner and a professional trader. Brandon has been researching Bitcoin and Blockchain technology since 2010. He currently does contract research of the Crypto-Currency and commodity markets, including forecasting analysis; and develops trading strategies & software. Condition is Everything. In the third and final class of this series, Greg will teach about the evolution of demand for the best. Golden Art searches for the best because historically that is where the best profits have come. GA is not only searching for the best INDIVIDUAL coins, but also building the best SET. You can be a part of this set. On Monday Robin Rowan will share her knowledge of internet security and current frauds against families and businesses. This information is important for keeping your family and assets safe in ways you may have never known or thought of. Robin is the Editor in Chief of Conservative Truth.org. She was awarded the Secretary of Defense Medal for the Global War on Terrorism and is a former Federal Auditor and Inspector in oversight of Fraud Waste and Abuse. She worked with a multi-agency task force for criminal investigations fighting fraud. In Part 2 we will continue with in-depth information on how experts grade coins. Our intention is not to make you a coin grader, but rather to make sure you understand the process and how grading can make your coin investments more valuable. With collectibles, condition is everything. For example, an antique breakfront in excellent condition may bring a fortune. But the same piece piece that is scratched or defaced may end up at your curb waiting for the garbage truck. Anyone can tell the difference between these two. But what if there are small differences between two pieces that only an expert can discern? Without a recognized grading scale, grading is very subjective. All collectibles share this common grading concern - EXCEPT rare coins. With rare coins, grading is compartmentalized into an easy to understand scale. Then the coins are sealed in holders with the grade inside the holder, making comparative analysis a breeze. In this series Golden Art will be explaining grading, from its origins to its implementation. It is a fascinating and informative way to understand the great treasures in the Golden Art collection. Monetary Policy is thought of as a separate entity from politics - above it; mysterious; different. It invokes different images to different people, but it is deeply influenced by politics. "How a Continent Can Tip Over" will explore the Greenback as the World Reserve Currency and how American politics threaten to overthrow Uncle Sam's dominance - and destroy the American economy itself. Brian W. Peterson is a long-time political observer and adviser who has been caught dabbling in the current state of American monetary policy in order to understand how much time our Republic has left. With collectibles, condition is everything. For instance, a mint condition classic car may bring a fortune, whereas the same one rusted out may end up in a salvage yard. Clearly in this example, one is better than the other, but how does one assess their condition INCREMENTALLY? If one is only slightly better than another, than how is it graded? That is a major problem. With no clear grading guidelines, as soon as you leave one car to look at another, you have to keep your image of the first car in your mind in order to compare it to the next. That means trusting a major issue to your memory. No one’s memory is that good. Therefore, in the absence of a definitive grading scale, grading is very subjective. This accounts for the huge disparities in sales records from one car to another. All collectibles share this common grading concern - EXCEPT rare coins. With rare coins, grading is compartmentalized into an easy to understand scale. Then the coins are sealed in holders with the grade inside the holder, making comparative analysis a breeze. In this new series Golden Art will be explaining grading, from its origins to its implementation. It is a fascinating and informative way to understand the great treasures in the Golden Art collection. · How do you recognize a crisis? · What are the sequence of events, how might it unfold? · What can you do to prepare beforehand? · What do you do when you are in the middle of the crisis? · We also want to have a time to answer questions. Those of you who think about the events to come and what might happen beforehand, won’t be shocked when they begin to unfold. Those of you actually come up with your own plan will not only have clarity and peace, but may greatly benefit from any preparations you make. Golden Art has been working on building a set of great treasures for years. Sets add value. Is your rare coin lonely and looking for company? No, Golden Art has not become a match making service! However your coin is already a part of a set and you may not realize it. Our new series explains set building strategies that nearly everyone can afford. In part 3, we discuss how you can build a set without leaving your living room. Golden Art does all of the hunting and assembling so you can relax! Through the use of new coin software and technology, the value of U.S. sets has skyrocketed. Experts predict the same will happen soon with Europe sets. This webinar will give you the core questions and practices to reignite the “dreamfire” in your life, family, vocation, or ministry. This is an abbreviated version of a fully recorded workshop called “The Dreamfire Experience” that will be available at a special discount to those who attend. In addition, all those registering for this webinar will receive a free copy of the 7 Dreamfire Questions that are being used all over the world to accelerate the intersection of purpose and passion in our lives and work. We began a new series on coin sets last week. In Part 1 we explained set building strategies that you can accomplish as in individual. In part 2, we will discuss set building strategies that you can be a part of - even if you do not have the resources to build your own set. If this sounds too good to be true, just listen to the whole series and learn how it is done. Sets add value. Golden Art has been working on building a set of great treasures for years. In our strategy you own and have possession of your own coins! As a result of new technology, the value of sets has zoomed in value in the US. We believe the same will happen in Europe. Could history have missed the correct place where Christ was crucified? Yes, claims Robert Cornuke in his popular new book Golgotha. His research brings into question the two traditional places of Christ's crucifixion: The Church of the Holy Sepulcher and Gordon’s Calvary. He proposes that Golgotha was actually in the Palestinian neighborhood called the Silwan Village (about 600 feet east of the City of David) in Jerusalem. Using old photographic imagery from the 1800’s, Bob Cornuke used his police investigative and archaeological skills to possibly solve one of the most amazing riddles of the ages. Robert Cornuke is the Chairman of the Biblical Archaeology, Search & Exploration (BASE) Institute. He has been called the "Real Indiana Jones" for his work combining his police forensic background, his Biblical archaeology skills, and the knowledge he gained in his studies for his Ph.D. in Bible and Theology. While serving as a crime scene investigator assigned to major crime scenes, Bob gained invaluable training and experience in investigative and scientific research techniques. He has now turned his investigative skills toward Bible archaeology, using those skills and ingenuity to unlock the doors to sites that often go against traditional archaeological presuppositions. He has made some amazing discoveries, and has authored numerous books and DVD's about them. But his children believe that his most notable accomplishment is having his findings featured as a question on a Trivial Pursuit™ card! may already own a coin or coins that are part of a great set or collection. Attend this Webinar and find out! Join us as Constitutional expert Janine Turner speaks about the founding and Mission of Constituting America. www.ConstitutingAmerica.org is the only organization that utilizes movies, music and television with kids' own works, to inspire Americans of all ages to learn about the U.S. Constitution, by distributing their works through the national media. 1) How will this affect my family and me? 2) How can I prepare for the death of cash? 3) How can I protect my assets when I lose control of my money? We will answer those questions and more on Monday. Make sure you're there, and invite a friend to join you. This will be an eye-opener, and you will learn things you have never heard before. Stocks Down, Gold Up - WHY? Would You Like to Have Your Own Angel? What Happened to the Aftershock? Futures -- You've Got Options! Boom or Bust - What is Money? Will the Chinese Yuan Become the World Reserve Currency? Boom or Bust - Uncle Sam Wants You! If You Can't Hold It, You Don't Own It! How to Make Money With Gold, Even When it Does Not Rise in Price! Futures - Why Should We Care? US Ends Well, EU & Russia End Poorly: What's Next? Money Printing Has Stopped - Now What? Who Will Own Our Children? This is a Webinar both for busy entrepreneurs who need to find capital to grow their businesses, and for believers who would like to profit from these new businesses by providing capital. What is “Venture Capital” and what tools are needed? Are you tuned in to your “gifting”? Are you willing to fund God’s work in His Kingdom? Currency Wars: Who Will Win? Why Did Bernanke Say he is Ignorant About Gold? Are You Qualified for the Coming Wealth Transfer? America = God and Country! Trading as a Business; Which Business Works Best? Will the PIGS of Europe Crash the Euro?